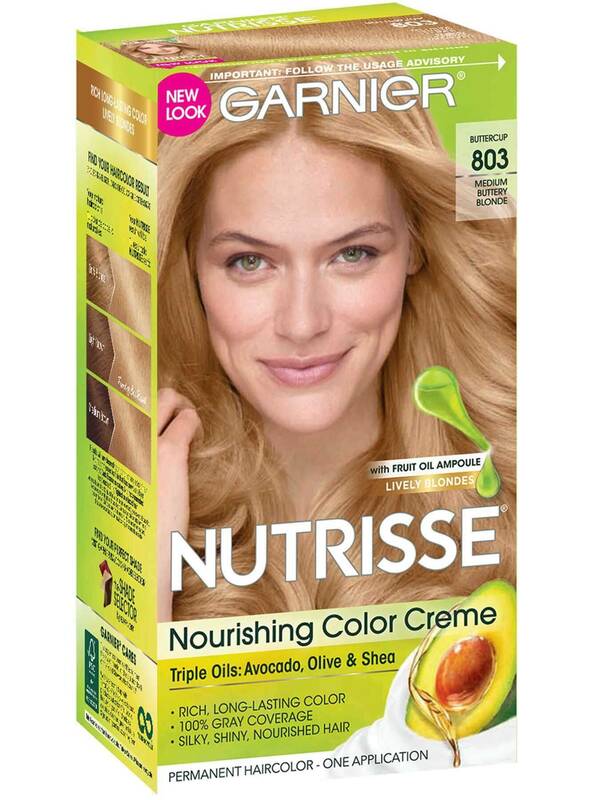 Garnier Nutrisse shade 803, “Medium Buttery Blonde,” is part of our Buttery Blondes collection, specially formulated with a multi-tonal blend of warm and cool reflects for a creamy, harmonious shade of blonde. Medium Buttery Blonde provides 100% gray coverage and is best for anyone with natural hair between Dark Blonde and Medium Brown. 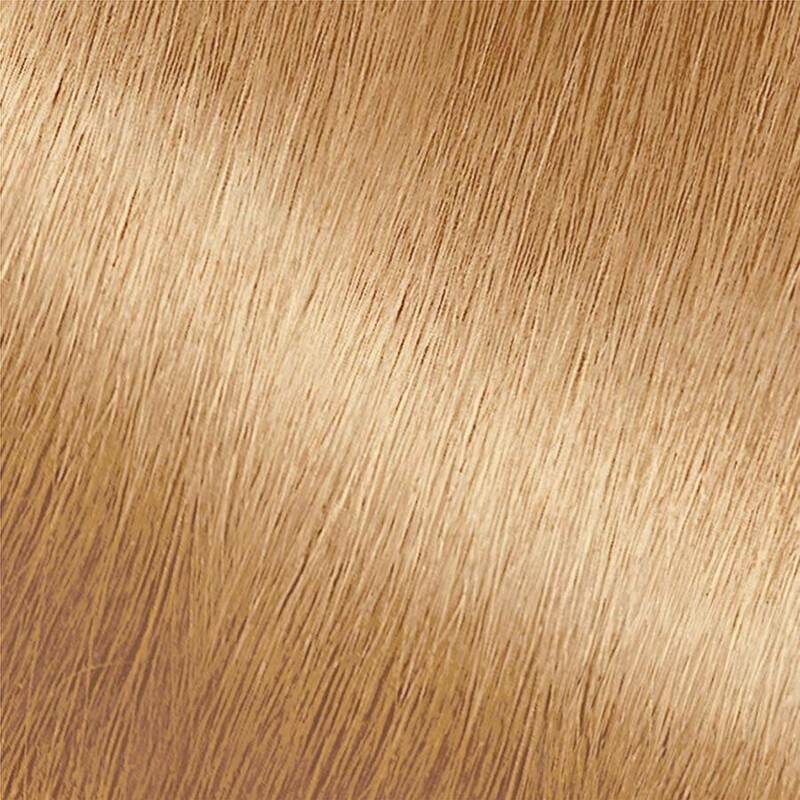 This is the medium blonde shade in our Buttery Blonde collection. If you prefer a lighter shade, try 92, “Light Buttery Blonde,” within the collection. If you would like a darker blonde shade, try 70, “Natural Dark Blonde.” If you would like to try other reflects and tones within the Medium Blonde range, there are many shades to choose from including, 80, 82, and 83. *For women with currently color treated hair, there are special considerations for the color result you can achieve. 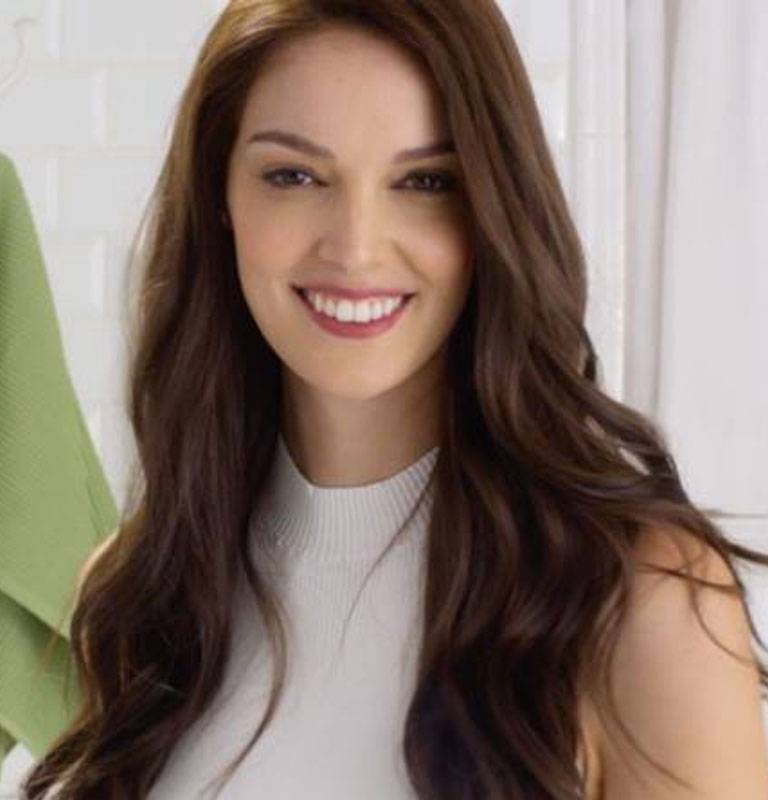 Because of this, we do not recommend shade 803 for hair that has been previously colored shade 70 “Dark Blonde,” or darker. Also, not recommended for bleached or highlighted hair. For more help, use our Shade Selector Tool to find the perfect shade for you! Rated 5 out of 5 by bornwhitehot from Beautiful Results This is the first time I've used this particular color, #803 Medium Buttery Blonde. I am completely in love with my results, and do plan to keep this color for a very long time. The multi-dimension color exceeded my expectations, and I plan to recommend it to all my friends. Rated 5 out of 5 by KhakiP from Beautiful Result I am very pleased with the result of Medium Buttery Blonde 803 - I had champagne color, with an inch of dark blonde roots and grays growing in, so I gave this a try. Not only evened the whole thing out and conditioned it better than before, but color is a very natural looking, mix of gold and ash tones, I really love it!